So I wish you a blessed Hallowe’en, and I hope, given that it is too late for this year, that you’ll think about planning a suitable and deliberate fun outreach to the families in your Mission Area as a positive way for the Church to reclaim the festival for the Church and for the Gospel. A warm thank you to all those who worked extremely hard to make our Diocesan Conference a success this year – the Diocesan Office staff and the host of volunteers, young and mature. Thank you for your own presence and support. I think we have reached a tipping point in the diocese, where, having put in place structures that can support collaboration and mission, we now have to focus on getting on with actual mission. As you’ll remember, I drew on God’s command to St Francis for inspiration, and I hope we can focus on that for a while as we work on plans for the future. Are the things in which we’re investing time and energy building the Church? Increasing our congregations? Deepening discipleship? Giving new life? 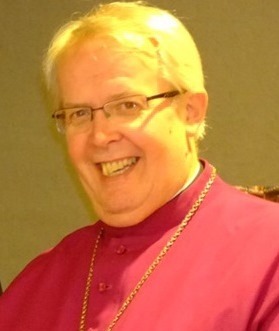 As this letter is published, the funeral of Bishop Huw is taking place in Cardiff. I am sure that we will have many memories of Huw among the clergy and people of this diocese, and especially those in Prestatyn, where Huw served as Vicar. As Assistant Bishop to Archbishop Alwyn, Huw offered faithful service, and as I have recorded elsewhere, he was someone, who, in my own encounters, always offered welcome, good humour and hospitality. We commend Huw to God, and pray for Gwyneth, Lynwen and Gaenor at this time. Huw, of course, went on to become Bishop of St David’s, and this week the Electoral College meets to elect a successor to Huw, and to Wyn. Do please hold us in your prayers as we seek to discern God’s will for the future of the Church and for our sister diocese. 8-9th November Area Dean / MAL Consultation at Foxhill Retreat Centre, Frodsham. 10th November Offa Mission Area Commissioning Service, St Mary’s Church Ruabon, 1900hr. 16th November Maelor Mission Area Commissioning Service, St Dunawd’s Church, Bangor Isycoed, 1900hr. 20th November Borderlands MA Confirmation, Emmanuel Church, Bistre, 1500hr. 6thDecember Changing Attitude Cymru Iris Film Festival, the Cathedral, 1900hr. 5th December Church Hostel Thanksgiving Eucharist, Bangor Cathedral, 1900hr. Preacher: the Ven Bernard Thomas, former Archdeacon of St Asaph. 7th January Celebration of 20 years of Women’s Priestly Ministry in the Church in Wales, Cathedral , 1100hr. Celebrant and preacher: The Rt Revd Rachel Treweek, Bishop of Gloucester. 15th January Aber Morfa Mission Area Commissioning Service, 1500hr, venue to be confirmed. 2nd July Episcopal Visitation to Borderlands and Mold Mission Areas, 1500hr. 10th September Episcopal Visitation to Aled and Aber Morfa Mission Areas, 1530hr. The Real Advent Calendar is a fun way for parents, grandparents and Godparents to share the Christmas story. The calendar comes with a free 28-page Christmas story activity book designed to be used every day in Advent. This year, the book is illustrated by award winning artist, Alida Massari. Behind each of the 24 windows there is a festive Fairtrade chocolate made from our new and improved Fairtrade blend. The Real Advent Calendar is designed to share and celebrate the true meaning of Christmas so that Christ is not written out of Christmas. As well as celebrating the true meaning of Christmas, the calendar makes a charity donation, from every sale, to Traidcraft Exchange and the Funzi & Bodo Trust. The Real Advent Calendar is available from Lis Perkins at JUST SHOPPING 01248 712389/07874 902629 Email: lis@justshopping.co.uk, directly from the on-line shop: http://shop.meaningfulchocolate.co.uk/product_p/realad2016case.htm, and from larger Tesco stores and select retailers. Supplies are limited so buy early. You will find the dates of my Third Episcopal Visitation in the calendar above. I am grateful to the Mission Area Leaders who have already been in touch to confirm venues and I should be grateful if the other MALs can liaise with their visitation partners and let me know the agreed venue by November 25th at the latest. Details are available for the Film Festival Telling our Stories which will be held in the Cathedral next month. The deadline for compliance with Rent Smart Wales is fast approaching (23rd November 2016) and with this in mind the Church in Wales has put together some guidance for parishes. This is summarised in the Guidance Note. Tracey Anstey at the Church in Wales Property Department in Cardiff has already been in touch with contacts in parishes that have let property which is vested in the RB and has sent them a copy of the guidance so they can organise training. However, there may be others that Tracey does not know about! If anyone would like to have a general chat about the registration, licensing or training process please give Tracey a call on 029 20 348214 or email her on traceyanstey@churchinwales.org.uk. I am sure that you will share with me our concern for Archbishop Barry on the news that he has been diagnosed with prostate cancer, and that we will hold him in our prayers as he undergoes surgery at the beginning of December. This means that Archbishop Barry will now not be preaching at the Celebration and Thanksgiving for the Bangor Church Hostel on 5th December. Instead, we shall have the pleasure of hearing Archdeacon Bernard Thomas. In September 2008 the Governing Body authorised the experimental use of new Funeral Services for a period of up to ten years. 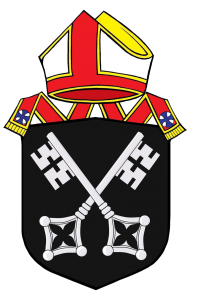 As this period expires shortly, the bishops are asking the Standing Liturgical Advisory Commission (SLAC) to receive any comments from the clergy and people of the Church in Wales to inform the preparation of the definitive rite which will be brought to Governing Body in 2018. The full range of the funeral service material authorised in 2008 can be accessed online at: http://www.churchinwales.org.uk/structure/representative-body/publications/downloads/funeral-resource-book-2008-alternative/. Please send any comments that you would like to submit for the consideration of SLAC to the Secretary, Mr John Jones, 127 Saunders Way, Derwen Fawr, Swansea SA2 8BJ / jonesjohn79@aol.com by January 31st, 2017.